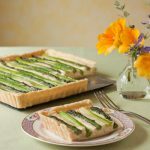 Fresh spring asparagus is baked into a creamy, cheesy potato layer, surrounded by a flaky, gluten-free crust. It’s perfect for a spring or Easter brunch. For 12 years in Chicago I hosted a post-church Easter brunch, and I loved making special dishes like this for the potluck. I held them at a series of apartments and houses, sometimes borrowed if my place was too small. We would always wear pretty Easter dresses, even though the weather was generally cold and uncooperative. One memorable year we had over 60 people, and it was warm enough to walk over to the beach. When I originally got the idea for this tart, I made it once and photographed it, but it wasn’t quite right. And then asparagus went out of season and it went into the “to do” folder. This recipe could have been part of my failure series, as I had to make this five times to get it right! But it was worth it. And even the failures were pretty tasty. The problem was that I kept forgetting that starchy potatoes need to be treated right, or they make glue. If you have learned that these foods aren’t migraine triggers for you, enjoy! Fresh spring asparagus is baked into a creamy, cheesy potato layer, surrounded by a flaky, gluten-free crust. It's perfect for brunch. You'll need an 8-1/2 inch tart pan with a removable bottom, or an 8-9 inch (20-25 cm) square baking pan. At some point along the way, preheat the oven to 375F/190C/gas mark 5. You can do this once the crust is in the pan and the potatoes are mashed. Trim the ends of the asparagus to fit the tart pan. Peel the asparagus stalks to take off the woody outer layer. Bring a large pot of water to a boil, and add 1 T. salt. Drop the asparagus into the boiling salted water and cook for 3 minutes. Rinse in cold water and drain well. Make one gluten-free pie crust using the ingredients above, roll out, and fit into the tart pan. Wash, peel, and boil the potatoes in salted water for 12 min. Drain well. Mash with a fork, potato ricer, or food mill in a large bowl, adding in the soy milk or cream replacement until fluffy. Do not overwork. DO NOT PUT THE POTATOES IN THE FOOD PROCESSOR. Remember how I said I had to make this five times? This is a good time to preheat the oven. Add 2 T. (30 ml) of filtered water to the ground flax seed in a small bowl. Set aside to thicken. 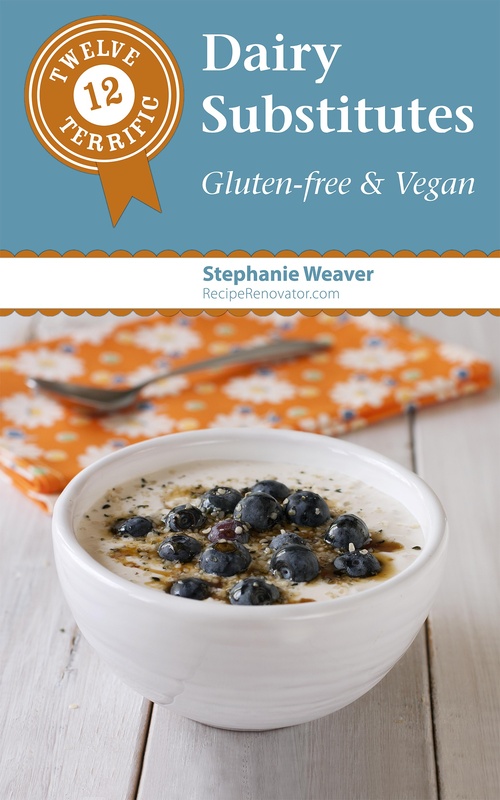 Blend the thickened flax seed, salt, pepper, truffle oil, and the silken tofu in a food processor. Fold the mixture into the potatoes while adding the grated cheese, using a spatula to mix gently. Spread into the crust, and top with the asparagus laid head to foot. 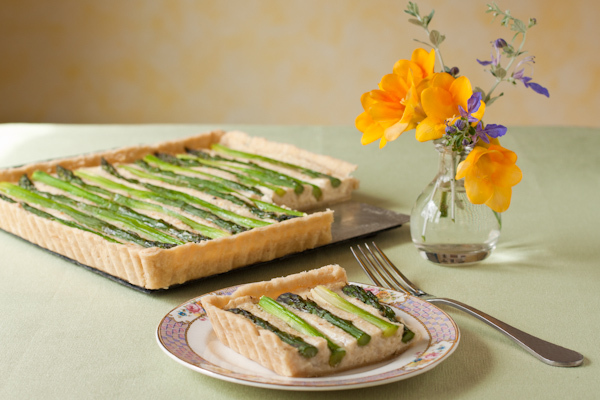 Brush the asparagus and crust edges with 1 T. melted vegan margarine or a small amount of truffle oil. Bake for 35-40 minutes until golden brown and firm in the center. Cool on a wire rack for 10-15 minutes before slicing, so it is firmed up well. This is great at room temperature, so is perfect for a brunch. It's easiest to slice this by cutting across the tart first, parallel to the asparagus. Then cut across the asparagus stems with a sharp knife, holding them down with one hand while you cut across them. Don't blend the cheese. Don't blend the potatoes. Trust me. If you don't have white truffle oil, you can use garlic-infused olive oil. But the white truffle oil is worth it. You can use regular dairy milk and dairy cheese in this as well. Yum! What a gorgeous tart and so perfect to celebrate the arrival of Spring. Lovely photo’s too! Thanks Jill. It really does say spring to me too. A masterpiece! And your photo is a stunner. Thanks Liz, that’s so sweet! You know how much I struggled with this recipe, so that means a lot.